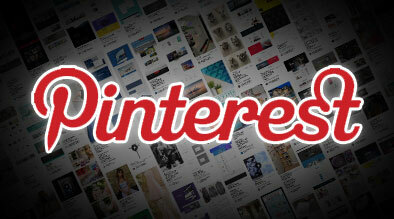 Everyone is abuzz about Pinterest – a virtual pinboard that lets you organize and share images linked to the source of the image. With its fast growing popularity, reaching over 11.7 million unique visitors as of January 2012 and surpassing the 10 million unique visitors mark more quickly than any website in history, it is not surprising to see that marketers are quickly thinking of creative ways to leverage this virtual pinboard site to improve their online marketing strategies. Here are 5 ideas how hoteliers can leverage this virtual pinboard to enhance their hotel’s online marketing strategy. Run a contest promoting guests’ pinboards that showcase the reasons they enjoyed their stay at your hotel and reward the pin that received the most repins or likes. Create several pinboards to showcase your hotel’s unique selling points, highlight amenities, share current specials and packages, or highlight things to do or places to visit in your local area. Make sure to hyperlink these images to the actual page dedicated on your website. Use it as a guest review service – a great way to get customer feedback on hotel offerings is by posting images of the hotel, amenities, and services and ask guests and followers to share their opinion about these in the comment section. Encourage guests to pin their own pictures of their stay at the property and hyperlink the images to the hotel website. Hotels can also create a unique board specifically for guest pictures and repin these images on this board.